House prices will fall 5 per cent in Sydney and Melbourne over the next year as credit curbs hold back investors and owner-occupiers take longer to get approval for finance, Stockland chief executive Mark Steinert said. 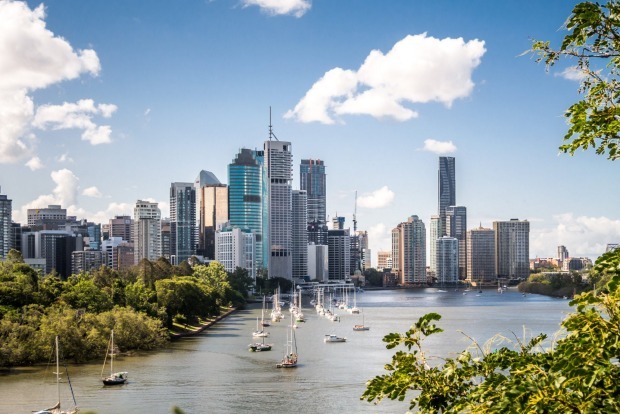 The declines, triggered by weaker performance at the top end of the market, would be greatest in the country’s two largest cities while Brisbane would keep growing, Mr Steinert said on a panel at the Property Council of Australia’s annual Property Congress event last week in Darwin. “Sydney and Melbourne at the higher end is where most of the vulnerability is,” he said. 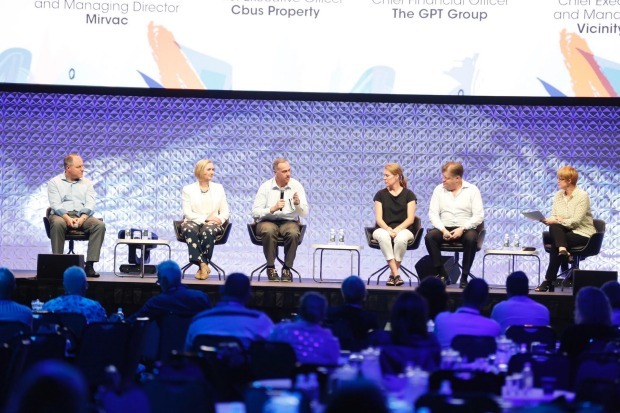 The Property Congress 2018 panel with, from left, Mark Steinert, Susan Lloyd-Hurwitz, Anastasia Clarke and Grant Kelley. Ms Lloyd-Hurwitz agreed that the modest decline would be concentrated in the higher-priced segment of the market for detached houses. “It’s concentrated at the top 25 per cent of houses, not the middle 50 per cent of houses or apartments, and so you really can’t talk about even a Sydney market or a Melbourne market,” she said. The latest CoreLogic figures show that in the year to August, detached house prices fell 7.1 per cent in Sydney, a steeper decline than the 2.2 per cent fall of apartments. In Melbourne, houses fell 2.7 per cent while units gained 1.5 per cent. Brisbane will be the best market for growth over the next year as Sydney and Melbourne fall, property bosses say. Ms Clarke welcomed the likely decline across the country as a whole. Mr Pozzo and Mr Kelley said Brisbane offered the best prospects for growth over the coming year. Mr Pozzo, whose company is building the mixed-use ‘Pantscraper’ tower with 202 luxury apartments, a hotel and office accommodation on Melbourne’s Collins Street, said the lack of apartments in the Brisbane CBD – in contrast to areas that have already seen a lot of new supply such as Newstead and South Brisbane – made that an attractive area for possible investment. He said he would be open to buying sites in the Brisbane CBD. “If someone would sell them to me, I’d buy them, yes, of course, at an appropriate price,” he said. Mr Kelley said Brisbane benefited from having a market of both international and domestic buyers.